Look out! Giant snowballs are raining down faster than you can say brrr! 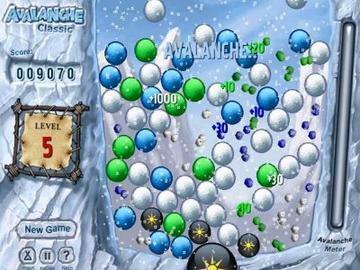 The only way to keep from getting buried in the avalanche is to connect the black spheres and open up the tunnel. 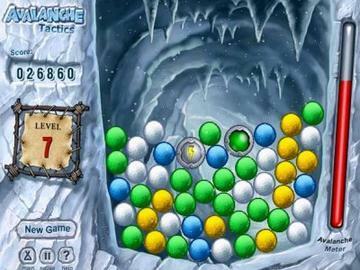 And, the only way to connect the black spheres is to get rid of all the snowballs in the way. 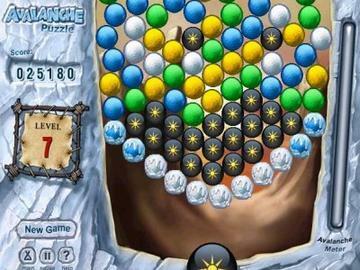 A fantastic variation of classic puzzle game play, this addictive treat will freeze you to your chair.